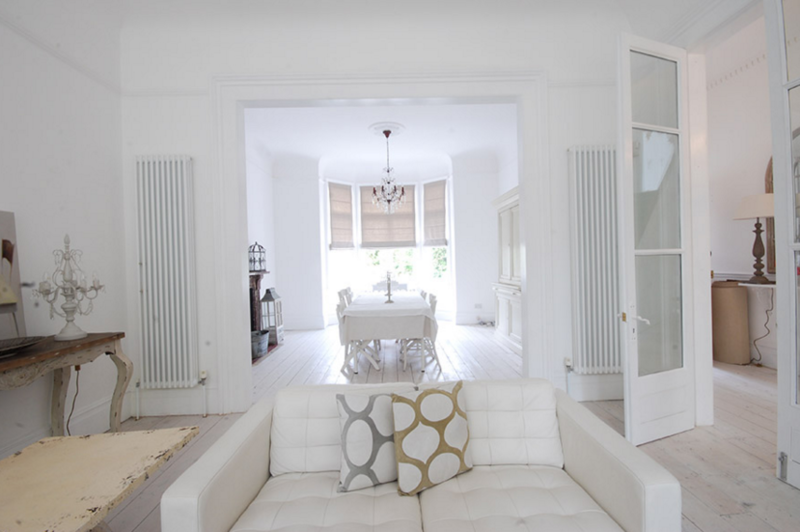 Stunning, classic French style lodge near Central London with modern, spacious and light interiors and stylish bathrooms. 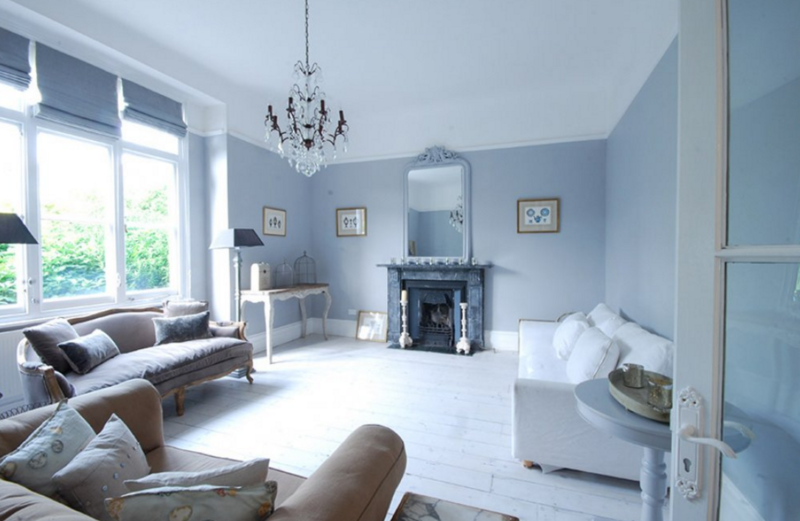 This stunning neutral washed, rustic, country style, classic French decorated lodge on the outskirts of London comes with three huge reception rooms painted in neutral shades of grey and white with pale stained wood floors. It features large glass French doors between each room, a cosy and neutral country-style kitchen with delicate and light pale wood floors and traditional furniture and large doors leading to the wide south-facing garden. Upstairs there are six bedrooms all decorated in different styles including a pretty children's bedroom with floral wallpaper. The huge master bedroom and large bathroom both feature white walls and white painted floorboards, providing a neutral backdrop. The three large bathrooms are all decorated in understated yet eclectic styles with a combination of French style furniture and decorative Moroccan accessories including silvered basins and a stunning panelled wall. A fully panelled bathroom features a console table with basin and curvaceous boat-shaped bath in the window painted in a deeper shade of grey. A wide range of beds including padded headboards and metal bedsteads. Whitecote House is located south of London's city centre, between Thornton Heath, Croydon and Mitcham and close to Streatham Tube Station. Battersea and Brixton are only a short drive away.